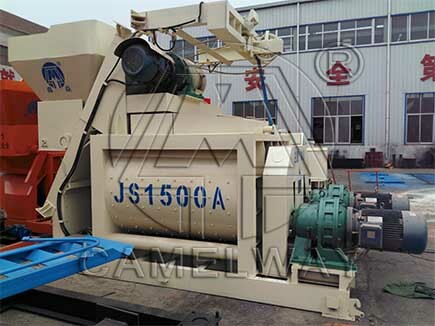 In the process of concrete mixer working, once with some foreign bodies in reducer, it will affect the normal work of the reducer, and make a great harm on the internal parts. What is the reason cause serious noise in the concrete mixer reducer. CamelWay Machinery will tell you. Bearing damage, due to joint friction, could intensify noise, then you need to change the new bearing. If the bearing damage, the noise is often a periodic, because the bearing is rotating at a constant speed, when transferred to the damage can produce noise. Zhengzhou CamelWay Machinery manufacture are specialized in the production of concrete mixer. The company holds the attitude to service customers numbering for each machine, stalking conduct inquiries, and promptly sending technical personnel for processing. If you have any questions, you can make contact with us. We will try our best to service for you.